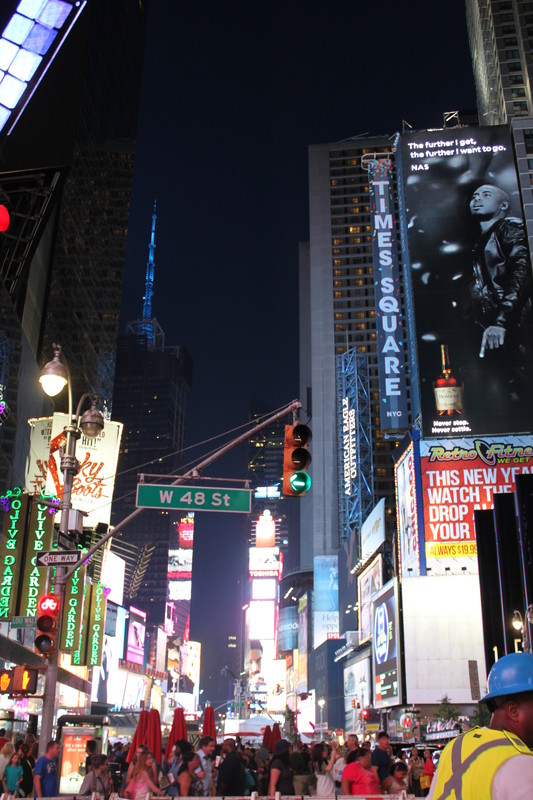 A blog challenge about New York City would not be complete without an entry about Times Square. We ventured into Times Square several times whilst in New York as our hotel was just two minutes away from the famous landmark. It’s certainly the place to be in the evening, once the sun has retired for the evening and the bright lights come out in all of their glory. Times Square comes along at night and it really can be an extremely place to visit. There are dozens of famous cartoon characters dotted all around the place, superheroes, Sesame Street and also a naked guitar playing cowboy. A word of warning though, if you want your photograph taken with any of them you have to tip them afterwards. We fell foul of this, just not thinking that this was what you were supposed to do. 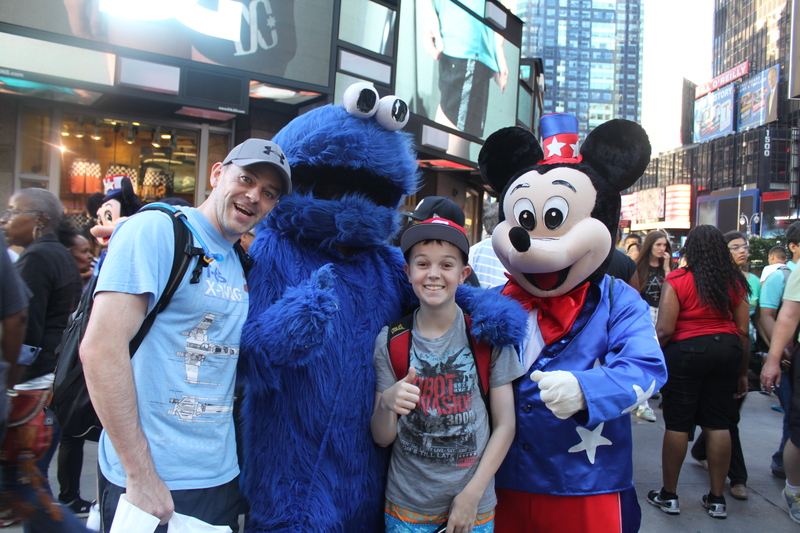 So after inviting the Cookie Monster and Minnie Mouse into our photograph, thanking them we were then chased down the road by a very angry Cookie Monster and Minnie Mouse who demanded a tip. Whoops! We totally messed that one up. Although hilariously, when I was on the Mad Men tour I was telling my guide about this experience and he told me that the previous year that Big Bird and Elmo got into a scrape over tips resulting in arrests. Hilarious! There was also a really freaky thing occurred as dozens of girls started screaming and taking photographs. Being the nosey git that I am I was dying to see who they were screaming at, so made my way up some seats to have a nosey and asked someone who it was. It was a young, good looking lad surrounded by big, burly security staff. I overheard someone who said it was just a publicity stunt to see if girls would scream over anyone who they think is famous. I don’t need to say anymore about Times Square, I will let my youtube video do the rest of the talking, and be warned, there is some dodgy singing 53 or so seconds in. This entry was posted in Blog, USA and tagged blogging, New York, New York City, NYC, Times Square. This was a great idea for an A to Z theme. NY is a magical city and haven’t been for years. I really enjoyed your posts. Thanks for sharing. It’s been great reliving my best memories from last summer.